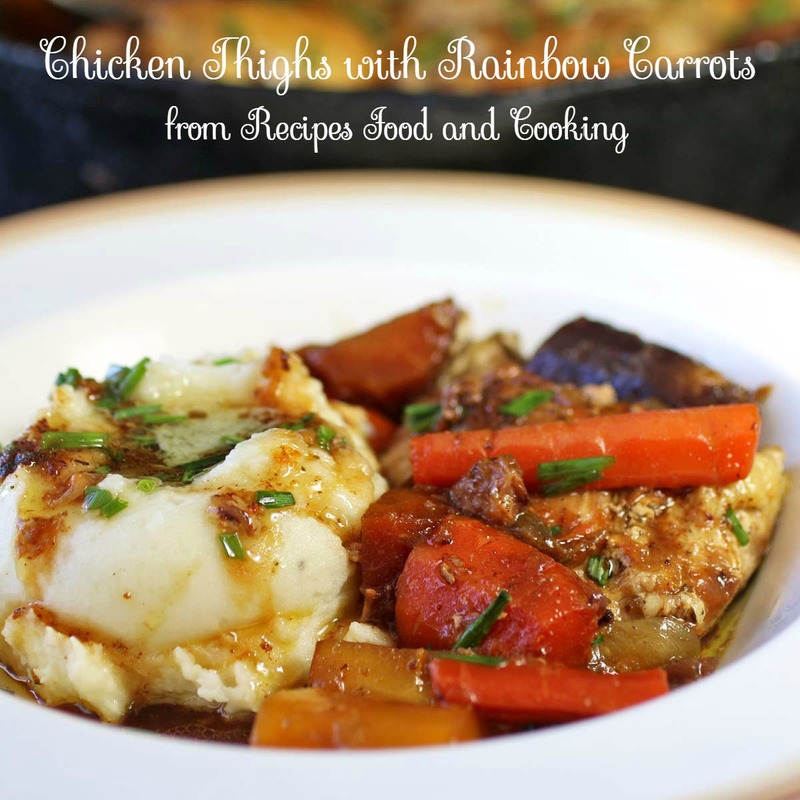 Chicken Thighs with Rainbow Carrots Chicken simmered in chicken broth. Ready in 30 minutes or less. 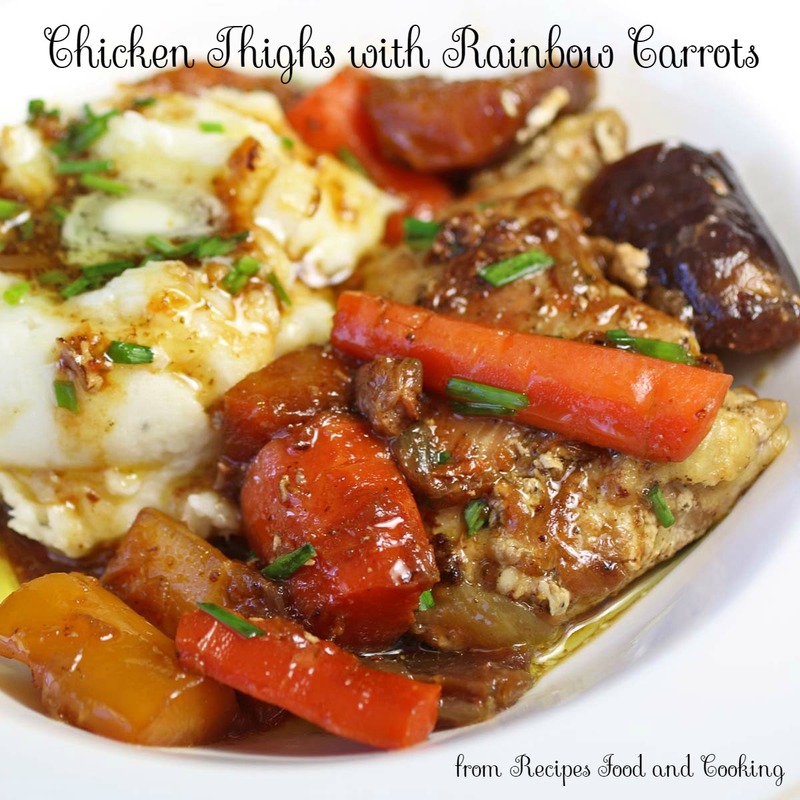 I’m not sure what to talk about first here the delicious chicken thighs or the amazing rainbow carrots. Since I put a carrot on top of the chicken thigh lets talk about the rainbow carrots. It is interesting because the insides of the purple carrots are orange. Purple carrots are usually very sweet. Red ones don’t really taste different but they do contain lycopene, the antioxidant found in tomatoes. These carrots are full of healthy nutrients. Have the kids peel them for you while you start the chicken. When you get the kids to participate in the kitchen they are more likely to try whatever it is that they helped with. You could be eating this delicious dinner in about 30 minutes, so it qualifies as fast and easy. It just looks like it takes all day. When cooking in an iron skillet, put the pan on medium heat. Add the oil after the pan is hot. This will keep foods from sticking. Chicken thighs simmered in chicken broth and rainbow carrots. Ready in 30 minutes or less. Season the chicken breast with the poultry seasonings, salt and pepper. Add the oil to a skillet. Add the chicken when the oil is hot. Brown the thighs on both sides. Peel the carrots. Cut them in half and then in 2 inch pieces. Add to the pan with the onions and chicken broth. Cover and simmer for about 20 minutes or until chicken is done and carrots are tender. Serve with mashed potatoes on the side. Sprinkle with chives or parsley if desired. 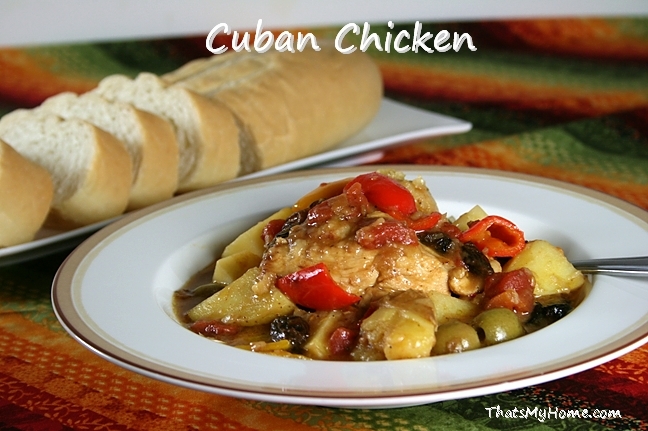 Cuban Chicken – Love, love this chicken dish. « Tuna Pate for the Big Game Day! I’ve never used rainbow carrots. In fact I’ve never heard of them until this post. Now I want to try them out. Your pictures made my mouth water! Thanks Rachael, that’s a big compliment coming from you! Kids always go crazy for rainbow carrots. Love that this is a one skillet meal. What a lovely dish! Tri colored carrots are so fun and delicious and I’m all about chicken thighs these days! I am using them more too! I love this recipe Mary! I love to buy rainbow carrots anytime I can find them. And now I have a great recipe to use them in! I buy them all winter long here at the farmer’s markets. I love our availability of fresh veggies all winter. Looks yummy! 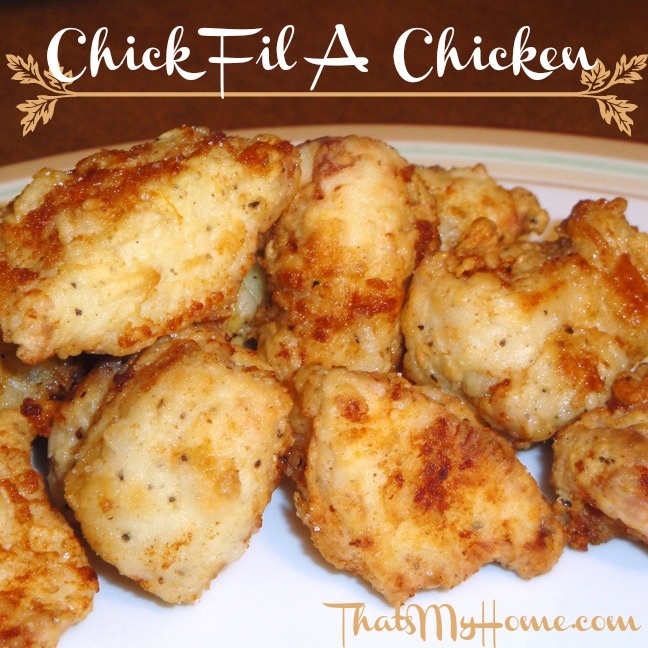 I love the simplicity of this recipe! I will have to try this when I get rainbow carrots. Love your picture of the carrots! thanks or sharing! I love the different colors of carrots. What a fun twist to a meal. Thanks for sharing. 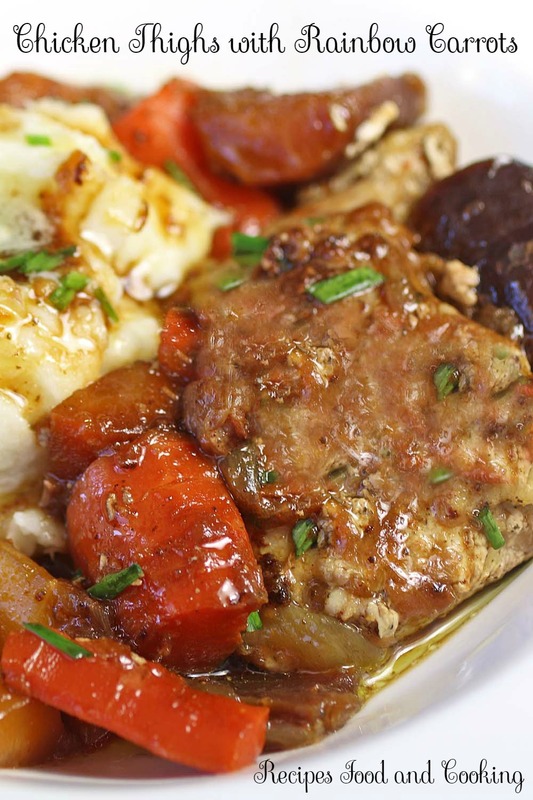 This is the ultimate comfort food, chicken, vegetables and mash. This is a great dish. Oh yes it is and economical too! Isn’t amazing what Mother Nature can come up with in the way of colors. Just gorgeous! What a gorgeous meal! 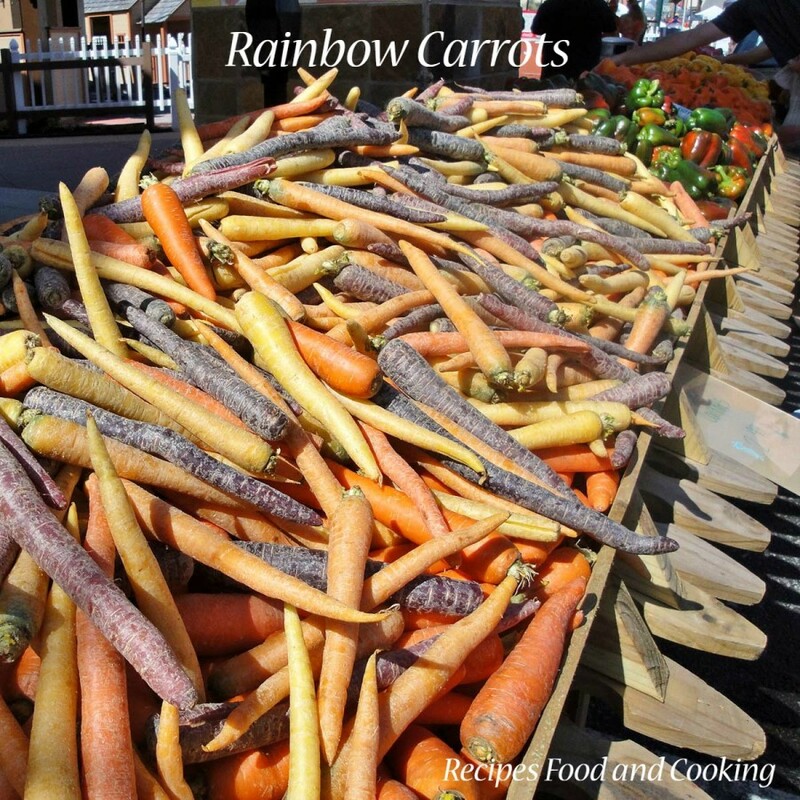 We are lucky to be able to find rainbow carrots all winter long at our Florida farmers’ markets and I’m thrilled I found this yummy new dish that will showcase them beautifully. That’s where I get them too! Love our farmer’s markets. Not only tasty but pretty in the eye too! This looks like a big ol’ bowl of comfort here, wow! I love rainbow carrots! Haven’t found them in Texas yet, but I also haven’t been to many farmers markets. Great recipe! Thanks Ashley! I see them in the grocery store occasionally. 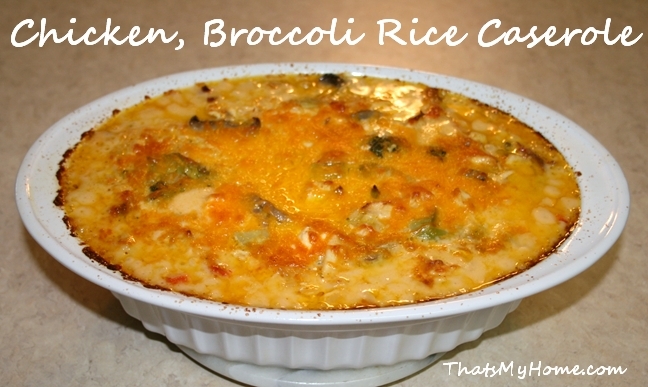 Sounds like a great weeknight meal!! Love the rainbow carrots…so fun & healthy!! It is and quick to make too! This sounds like a fantastic dish, really love the use of the rainbow carrots. Makes the dish look really beautiful! I’ve actually never used rainbow carrots, just the boring old orange ones! I love the brightness these bring to the plate. I buy them when I can find them. The taste is pretty similar so for me it’s a color thing! Love rainbow carrots. I grew up only knowing orange carrots exists so when I discovered that they (and many other of my favorite veggies) came in different colors, I set about trying them all. And chicken thighs are the best! How much does a 1 package chicken thighs weigh if ever? I don’t have a package here to look at. The ones I buy usually have 6 – 8 chicken thighs in them if that helps. Yes it’s a big help. 6-8 pcs will be enough for me to cook and might last for a half a week maybe.